As I am typing this, I am utilizing some of it. I would pick up the coffee cup next, to take a pause before I write more. That is energy. The words typed on the screen are a result of electrons and protons hitting the surface. It is simply there, in everywhere around us; in us. To actually grasp the entirety of what energy encompasses, one would need to simply think about this entire universe, which is a huge, unthinkably humongous ball of energy. In a ground-breaking finding at the Bielefeld University by a biological research team of Dr. Olaf Kruse (1), revealed that plants can draw an alternative source of energy from other plants. This provided a solid foundation to believe that even people draw energy from one another in a similar fashion. This explains why we often feel ‘out of the place’ while we interact with a certain group of people while instantly connect with others. The vibes we get are all that makes the difference. When we behold this positive energy, we aim to pursue it; we try to disseminate it into even smaller pieces, or try to magnify minuscule objects, simply because we are curious. If one were to consider human emotions as energy, curiosity qualifies among them. Why shouldn’t it? 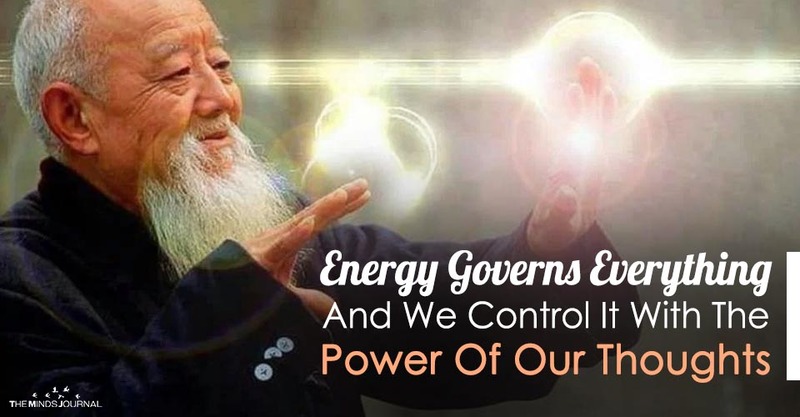 Energy is the driving force. You must have heard your parents berating you for being lazy, by asking you to be more energetic. It drives us, it forms us, it destroys; it governs everything comprehensible. Except our thoughts. Our thoughts govern energy. It would be wrong to say that our thoughts create energy, for as mentioned earlier, energy can never be created or destroyed. But it would be apt if we slightly rephrase it into saying that our thoughts, our stream of consciousness allows us to decipher energy in a way that makes sense to us. There is always a temporal and spatial shift in this regard, as every human being has a different perspective. While interpretations are relative, whether they are be wrong or right, it would lead to the growth of unprecedented human knowledge. But as we all know, no energy is novel. It is simply our outlook towards it. Every form of energy or energy in its purest form is simply out there. We change it, modify it, dig deeper into it, all according to how we interpret its use. At the end of the day, it wouldn’t be unwise to mention that every human action is preceded by a thought. I simply can’t have a thought about a random ‘something’ that isn’t of significance to the self. Even a blank, dark, space in my mind indicates something. Similarly, whenever we think about energy, or our interpretation of energy is always based on what we need it for. Humans are driven by their needs and their thoughts reflect that. The very crux of this article can be summed up in one word- zeal. Our being is made up of three components, namely the body, mind, and soul. Replace mind with thought and you will realize what I am talking about. The human body, the flesh, the bones, the muscle, the tissue, all of it is simply a vessel. Imagine working out in a gym. If you simply cut the connection between your mind and your body, would you know what to do with a dumbbell?